It is never too early to teach your child good manners, it is not even something you have to teach. If you and those around you have good manners, then your child will learn them but they do need a little help along the way. Good manners, especially at the table, are a non-negotiable in our house. These are a few of the things we do to make sure our kids are polite. No toys, electronics etc at the table. We don’t demand food and wait our turn and ask for what we want with please’s and thank you’s. We wait for everyone to dish up before eating. This may not be easy with little kids but keep reminding them. No one bangs their utensils while at the table. If they don’t like the food we discourage saying things like “this is gross” but rather encourage saying “I don’t really like broccoli, can I have extra carrots instead”. We do not allow food to be spat out. Eating with their knife, fork or spoon rather than using their hands. Again this may take a little longer with toddlers who are still exploring their food but keep showing them the utensils and how to use them, it will come. There is no yelling at the table or shouting at people across the table. Don’t expect your child to listen the first time to these rules, it is going to take a lot of reinforcement and constant reminders of how to behave and what not to say. The best way for kids to learn though is through seeing you do it. If you like this post please share it. Don’t forget to follow us on Facebook, Twitter, Pinterest and Instagram and you can sign up to our monthly newsletter. Christine Klynhans is a midwife and lactation consultant with a firm believe that gentle parenting can change the world. She has worked in midwifery since competing her B.Cur nursing degree in 2004, and has a special passion for education and for writing. She currently works in a well-baby clinic and give antenatal classes and breastfeeding support. 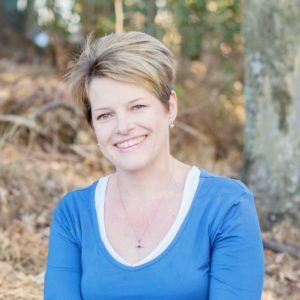 She enjoys working with parents of babies and toddlers, aiming to help them find gentle solutions to their parenting problems and assisting them in incorporating healthy habits and natural health alternatives into their daily lives. To make a positive difference in each parent’s life, contributing to the successful upbringing of their newborn child. Sign up to our newsletter and receive 10% off your first order!